Agalega Island Protest has background of Prime Minister Modi visited Mauritius in March 2015. A Memorandum of understanding was signed for the development of An area of agalega island. Agalega island is situated in Indian ocean. It belongs from Mauritius. The MoU had provided for setting up and upgradation of infrastructure for improving sea sna air connectivity and enhancing “capabilities of the mauritian defense force in safeguarding their interest in the outer island. Area of Angelega is 2600 hectre. 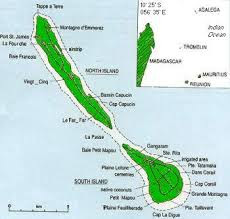 The agalega archipelago consist of two sparsely populated islands about 965 km north of mainland Mauritius. It has a population of 300. 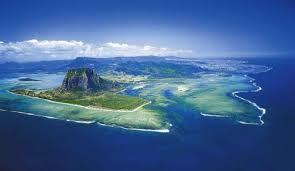 India’s investment in the Agalea project has caused disquiet in Mauritius. The MoU of project was signed in march 2015 during PM Modis visit. It is to commence in Feb 2019 & end in 2021. India agree to provide approximately $87 million to build an airport terminal, extends it’s runway and refurbish jetties. However, since then they have been growing reports over the Indian navel and coast guard interest in setting up a transponder system and surveillance infrastructure,. which has led to some local protest. In march 2018 several Islanders, including some from Agalea, which has population of 300 formed the “Kolosion Zilwa Pou Lape ” (Islanders collotico for peace) to lobby against the Agalea Project. The Protestors were filled by the fact that Mauritius is an a major international legal battle over the ownership of it’s Chahos island at protest which was turned into US’s “Diago Garcia ” navel based in the 1960. Note-: Here UK took Chago island from Mauritius on lease and the major part part of chago island ‘Diago Garcia’ is taken on lease by US. So mauritius is not happy with that and for that the country is battling against UK government in northern court. The work on Assumption island is already stalled in Syhchells. Chinese influence is rising in Mauritius too. So in this way Agalega island Protest is going on. There are many international, natiional factor responsible for it.